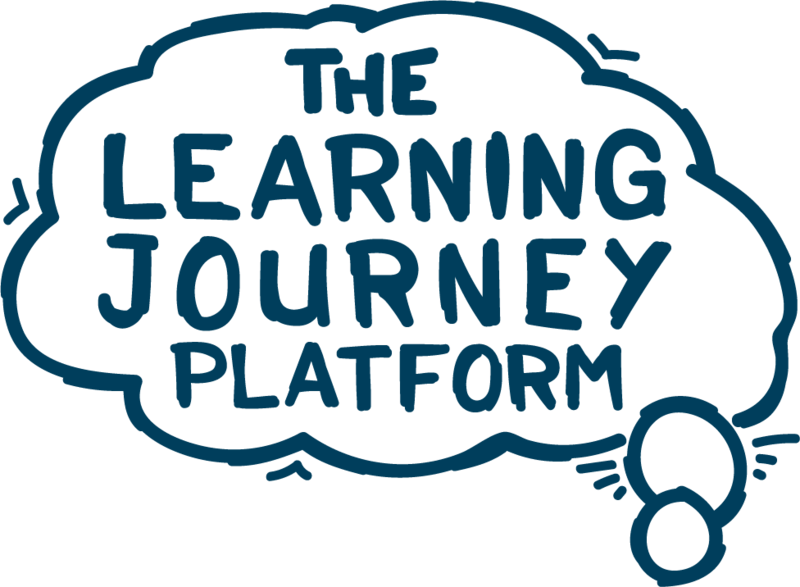 Blended learning: don’t just offer training courses, offer a learning journey instead! 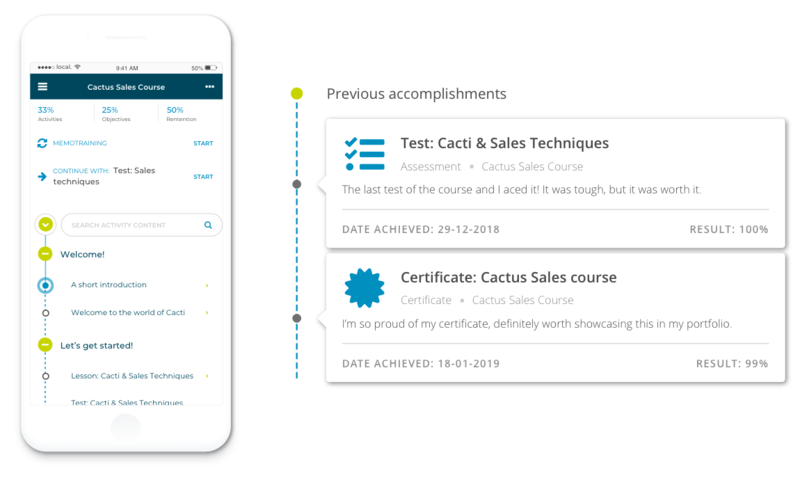 Engage learners and build a course that includes a variety of learning activities, like videos, assessments, lessons and even practical training in a classroom. 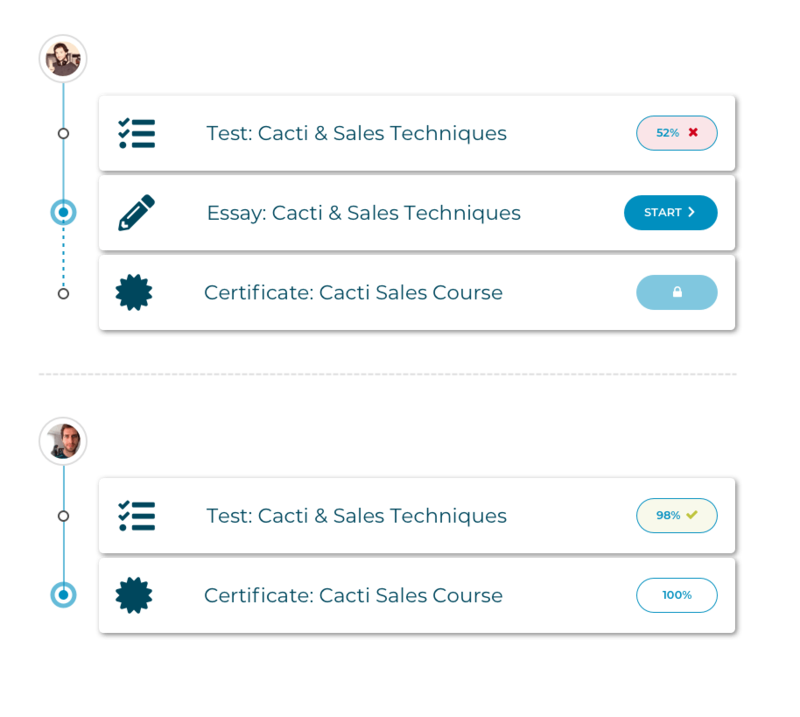 Your learners enjoy an intuitive UI so they can fully concentrate on learning. 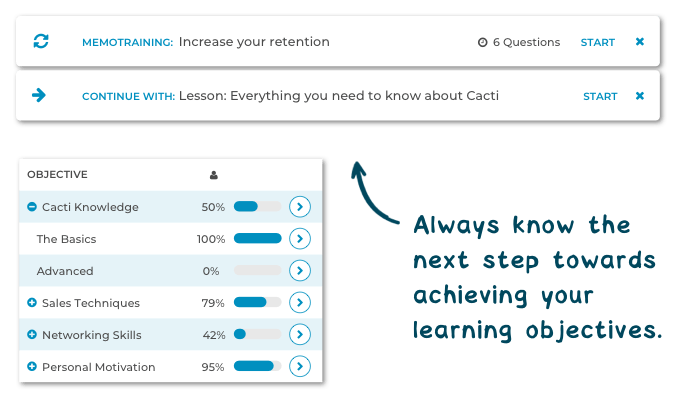 Each learner gets advice on what to do next based on their learning goals and results. Mix and match quizzes, events, surveys and other learning activities. Your learners receive detailed feedback on their progress, learning goals and results. Integrate your offline training and sync with calendars from Google or Outlook. 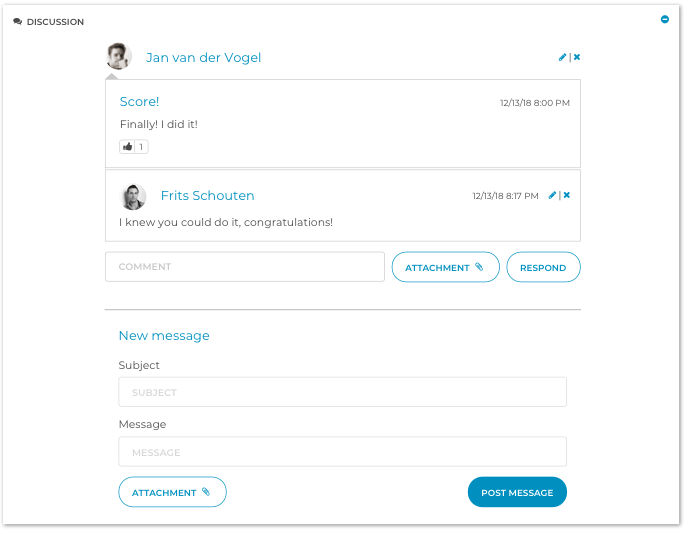 Easily enrich your existing SCORM content with social and adaptive functionality in aNewSpring. Allow your students to create and share a portfolio of achievements. Offer automatically generated certificates that can be validated through our online register. Release all lessons at once, based on a score or time – it’s up to you. 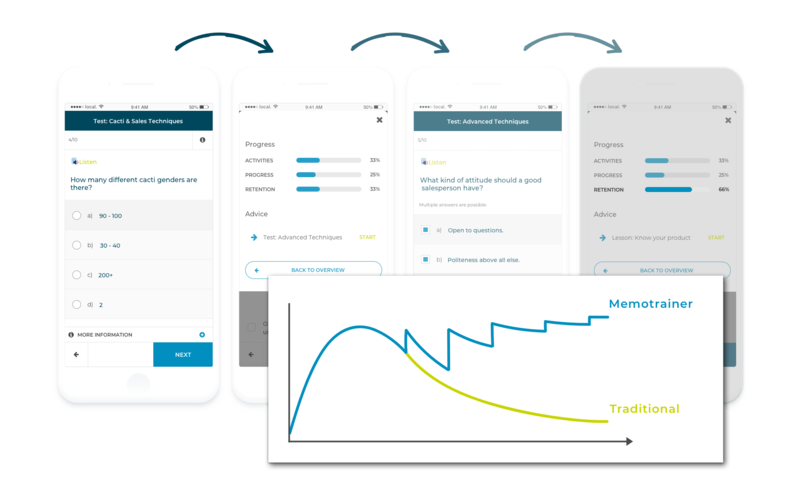 Offer new course content based on learning goals and use MemoTrainer to help learners store what they learned in their long-term memory. Our algorithm automatically addresses the topics that require training. Learning journeys scenario-based on rules or conditions like scoring or completion. Send notifications when new content is available (drip content) or encourage learners to finish a learning activity. 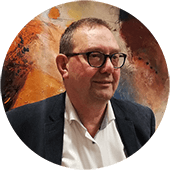 Significantly increase your learners’ pass rate. Personal daily training helps your students store what they have learned in their long-term memory. 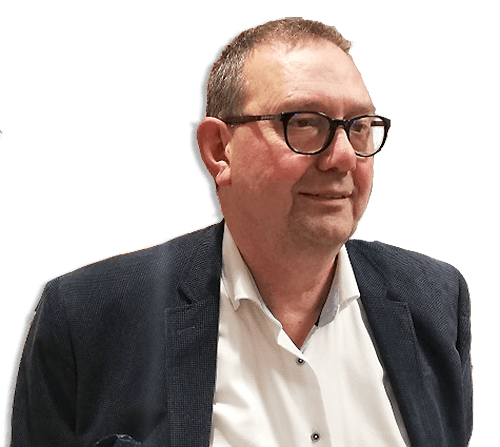 The MemoTrainer is based on the Herman Ebbinghaus forgetting curve. People love to learn from and with each other. Participants meet each other in their ‘course community’; they join groups, share their knowledge, discuss various topics, give and receive feedback and collaborate on assignments. Make your course a community of learners where they share valuable insights. Create a safe place to interact while learning. Collect improvements to your content. Learners can give each other feedback on the work they submitted. 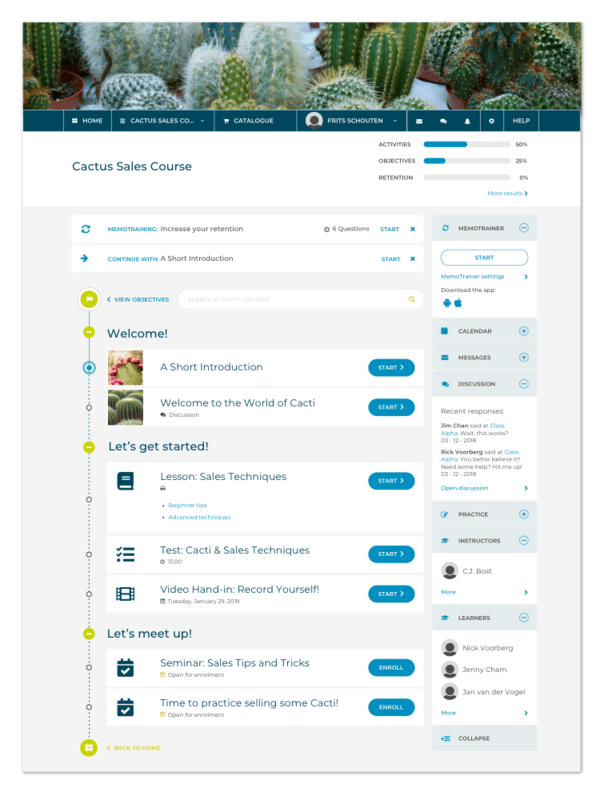 Instructors and learners have their own profile page to help make communication personal.